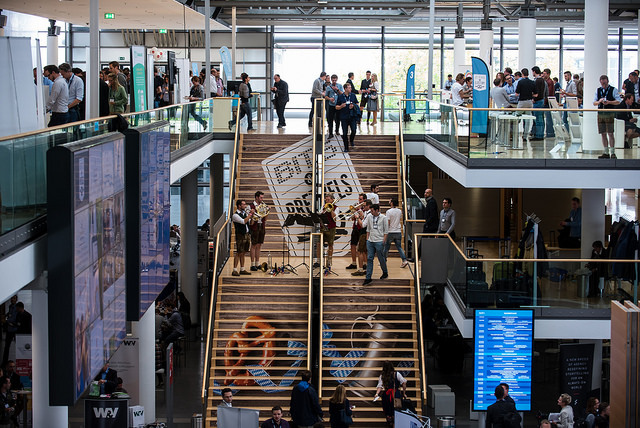 Munich is buzzing with anticipation not only for the Oktoberfest, but also for the Bits & Pretzels startup festival. From September 25 – 27, the international startup scene will once again be meeting up in Munich. We found out about how preparations are going and the founders’ personal highlights in an interview with Bernd Storm, Andreas Bruckschlögl and Felix Haas. 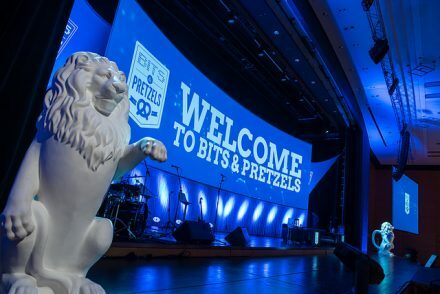 How are the preparations coming along for this year’s Bits & Pretzels? Bernd: We are already in full swing to get ready for the event! Our team is already working seven days a week to make sure our participants experience an unforgettable event. The main focus is on ticket sales, speaker management and detailed planning of the three-day conference. What are your personal highlights for this year? Andi: In addition to a sensational line-up of speakers and table captains, we have a lot of new things to offer this year. This will be your fourth Bits & Pretzels in September – and it just keeps getting bigger. What factors were decisive for such a positive development of the startup festival? Andi: As with any good product, it is important to know that there is a market and/or demand out there. With Bits & Pretzels, we recognized and filled a gap in the events offered in Munich. After the first two events, which we like to call our prototypes ;-), we reorganized the event based on feedback from our participants. A one-day event in a pub has since turned into a three-day event. The first two days focus on presentations and learning programs. The last day concentrates on networking. We have also redeveloped a few more elements based on feedback from last year (see above). Where do you see yourselves with Bits & Pretzels in 5 years? Andi: That is a tough question. If someone had asked us the “Where do you see yourselves in two years” question at the beginning of Bits & Pretzels, we definitely would not have envisaged ourselves where we are now. The sector is also moving so fast. The most important thing is to remain cutting-edge with Bits & Pretzels and to respond to our participants’ requests. After this year’s event, we plan to talk with our participants again. Their feedback will determine what we can fine-tune for 2017. We want to get a bit closer to our goal of becoming the world’s most awesome startup conference. Is there a speaker you have always wanted to host at the festival, but it just hasn’t worked out yet? Felix: We have a lot of speakers on our hot list. We will have a lot of top international execs on our stage again this year, like the founders of Airbnb, Kayak and King.com. We are particularly proud about having Sir Richard Branson, the renowned and successful founder of Virgin, come join us in Munich this year. He will speak for over an hour directly from his own experience as an entrepreneur. He also plans to share a little bit of news. 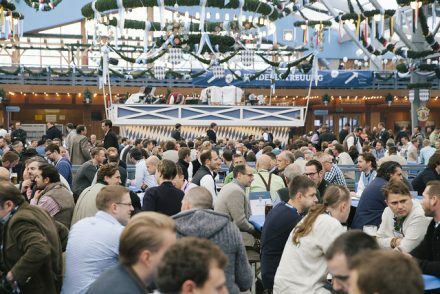 How would you assess the Munich startup scene? What is good? What is missing and/or could be improved? Bernd: The Munich startup scene has never been stronger. More and more top-notch talent is founding an increasing number of startups. In the same vein, investors are providing more and more money. An important growth factor is also the proactive participation of large and medium-sized companies in the startup ecosystem. What could be improved? We maybe need a little bit more of everything! We particularly need high-potentials, especially when it comes to engineers, who will opt for their own company instead of a corporate career. Bits & Pretzels will be escorting its participants to the Oktoberfest again this year, or to the Schottenhamel tent, to be exact. Which tent do you like to visit on your own? Plus, do you have any great insider tips for Oktoberfest newbies? Felix: As a true Munich native, I can only recommend giving everything a try. Try going before noon and learning the dirndl apron-tying rules (men should learn them). The Schottenhamel is the classic tent, but you will also find me in the Schützenfestzelt! How do things look the day after Bits & Pretzels? Bernd: We clean up first. Then we initiate the most important phase of the follow-up process. That includes customer satisfaction surveys, debriefings with partners and accounting issues. After the follow-up, we then immediately begin preparing for 2017. We take a short break for family vacation in November.